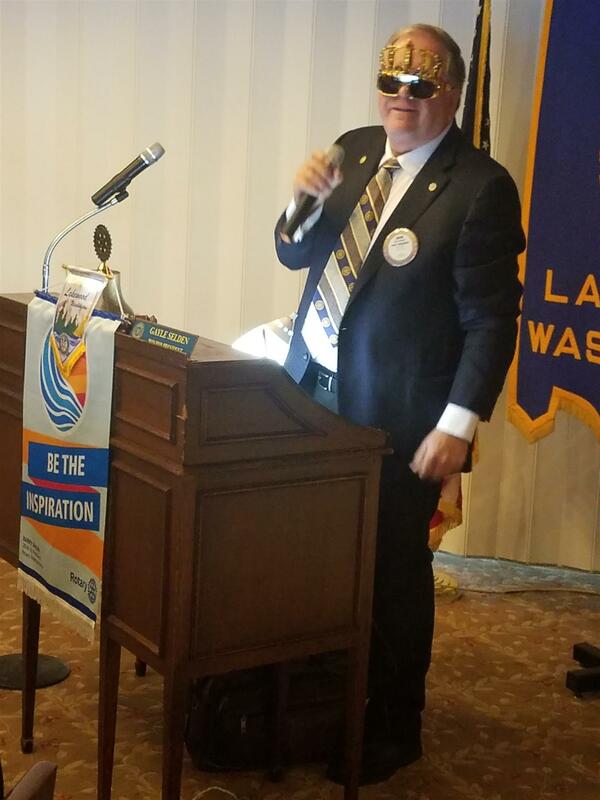 Dog-Gone It, What is Happening in Lakewood Rotary? 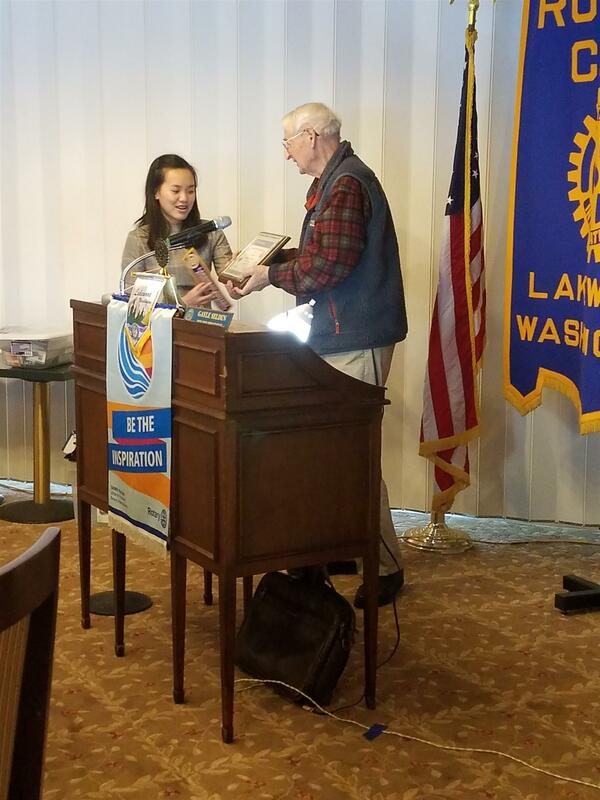 Because the Editor-in-Chief of the Lakewood Key knew that all good Rotarians wanted an answer to that constant question, he invited this Club Reporter to the Lakewood Rotary Board Meeting on Thursday January 17th, 2019. Your dogged pursuer of the truth, as an investigative journalist, attended the board meeting chaired by Bill Potter, our President-Elect, standing in for President Gayle Selden. Chairman Bill dazzled us with his leadership skills but it soon became evident that his bark was worse than his bite. Treasurer John Lowney presented the meeting highlight with his very detailed report, which left several board members looking confused but really much more enlightened about our complex finances. With that historic record of the Thursday board meeting behind us, we will now turn to the more traditional approach by telling you what happened at the Friday meeting... if I can open my dog-eared notebook. President Pro Tempore Dave Reames opened the meeting with his favorite "Aargh" cheer, sounding more like a Doberman than a pirate. Lest newer members keep that quizzical look on their faces that we noticed Friday, you should know that Dave is a renowned yachtsman so when he was Prez a few years ago he opened the meeting that way every time. He was NOT growling like Fido; he was a buccaneer. If you are wondering why this bulletin thus far is full of dog do, stay tuned to the end and you will see how we landed on that theme. Prez Pro Tem Dave called on Andrew Kruse to deliver our Thought for the Day (only he called him Andrew Neiditz at first, to the delight of many Rotary wags in the audience). But Andrew (Neiditz) Kruse did not disappoint or miss a beat, delivering his thoughts straight from the heart. He reminded us to appreciate each other and our mission of service and did it a lot more eloquently than this dogface can do it. John Korsmo was there to lead us in the Pledge. Puffin Bob Bruback served as Sergeant at Arms, while Jim Weinand collected $337 for the Rotary Foundation at the Paul Harris table. Helping with setup were: Duncan Cook, Ward Fletcher, Terry Roarke, and Bob Hammar. Sonia Martinez was our erstwhile Photog for this bull. Jamie Gregory, our Assistant District Governor, was introduced as our only Visiting Rotarian. There were no guests today. PAUL HARRIS AWARDS: Steve Enquist presented a Paul Harris Award to Mary Horn (her 4th) and another to John Caulfield (his 6th), but Steve also said anyone who needs tax information for 2018's deduction should contact the committee up front on Friday. John Lowney assisted the Sunshine Committee by reporting on Ted Wier. Ted was diagnosed with a severe infection in his prosthetic hip and underwent surgery Thursday night. He is doing well and may now have visitors at St. Clare Hospital, Room 1112 until Monday, but call him on his cell phone first or he'll bite your head off. Apparently, Ted got a new ball but not a new chain. Carole Wier is in charge of walking their Beagle--Bonnie--which she usually does anyway even when Ted is spry. Sunshine Committee Chair John Forkenbrock reported that Rob Erb is chomping on his leash and eager to get back to help with Setup Committee after his knee surgery. STUDENT OF THE MONTH: Bob Peterson did his usual thorough job by featuring Clover Park High School's Student of the Month, Linda Tran. But first he introduced the CPHS Principal, Tim Stutz. Bob said Linda is a bright and outgoing student who challenges herself to learn new things. She is a recently crowned Daffodil Princess for Clover Park. An exceptional student with a 3.988 GPA, Linda also takes courses at TCC in the Running Start Program. She applied to three universities and one dream school--Harvard University--and did get an interview at Harvard. A member of National Honor Society, Linda is in the top three in her graduating class. She is also a member of the Swim Team, Language in Action, tennis team and is a flutist in the Pep Band. In her spare time, she has racked up over 100 community service hours at St. Clare Hospital and has worked with Habitat for Humanity. Linda plans to be a pre-med at University of Washington, followed by study at Northeastern University in Boston. Her goal: to become a cardio-thoracic surgeon! Exciting to see such talent and determination for success in our Clover Park Schools! Dave called forward Sally Porter Smith, who came forward without hesitation or paws to explain the complex forms used in the auction process so that Rotarians would no longer be confused (good luck Sally). First, concerning tickets, table and sponsorships: pay attention to Sally! She said there are many different sponsorship levels from Birdwatcher to Angler and beyond, so read the forms, dogbreath! One critical feature of the form, which is often overlooked by many, is to provide the committee with the names and addresses of your guests. Without that our Auction Committee cannot finish the registration package, the bid card, the thank you letters and so much more that is key to auction success. 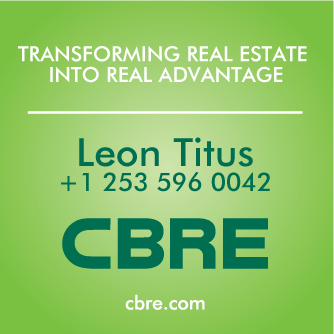 Even if you do not have the details right away you can supply that later by email to the committee. Isn't modern technology great? Who invented email? The form even has a place to just donate money, so many folks who cannot attend the auction should fill out that form and add their check. Sally also said...rest assured that your credit card info is kept very private; once entered into the system only the last four digits are ever shown again. Paula Olson helped Sally by explaining the Procurement Form. What a great team. Paula stressed that this form needs to include all of the salient selling points about your item or adventure to make it sound really appealing to buy. Mo Sarram again reminded us that Rotarian children and grand-children get priority for inclusion in the World Affairs Conference in Wisconsin if they are high school Seniors or Juniors. This year's theme concerns social media. The deadline is February 10th so get on the scent or it will be too late. The above named award is presented annually by the Lakewood Community Foundation. Apparently this year Lakewood Rotary was deemed to be the top dog and so the City Fathers--or Mothers--will be presenting the award to us at City Hall on January 22nd at 7:00 p.m. It would be great if many of our members could attend (and somewhat embarrassing if none did!) so please show up. FINES: Dave Reames donned some Gayle-like glitzy glasses to mete out the fines today. First, he nabbed Ron Irwin for getting a new puppy (trust me there was no collusion between the Lakewood Key and President Dave in choosing to start with that fine!) and Ron forked over an Irwin ($5). He nailed Mary Moss for twice that much in honor of her completing what she called "a great journey" as a long time Trustee for Clover Park Technical College. Getting her money's worth, City Council Member Moss reminded us that the city's Martin Luther King celebration is at Harrison Prep on Saturday (before the Key went to press). Duncan Cook was called on by Dave to tell a story and therefore earn a fine, but Duncan drew a blank!! 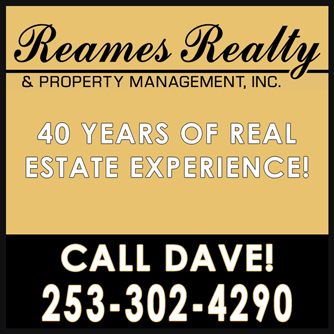 Dave continued to strike solid rock by calling on Bob Cammarano, who simply said "No" so we guess nothing is new. Mark Blanchard saved Dave's bacon or Purina Dog Chow by volunteering $20 for a trip to Hawai'i for Christmas. 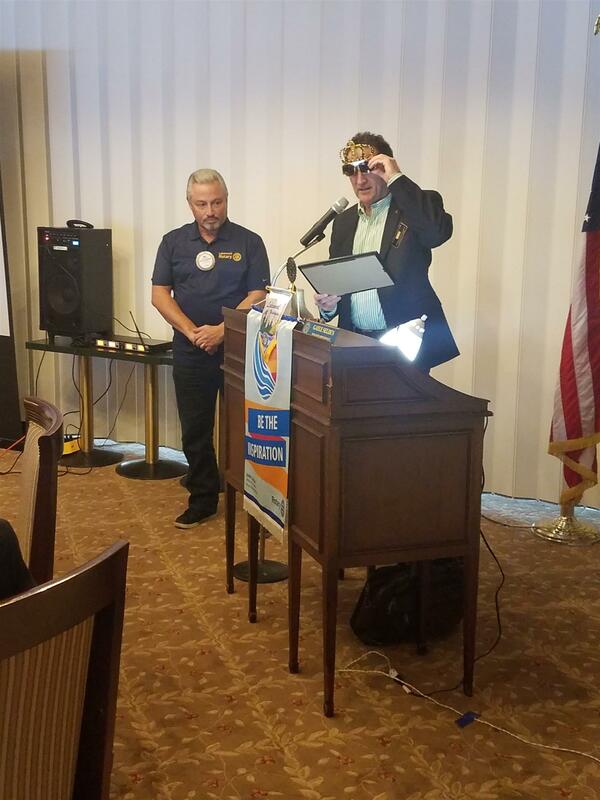 Jamie Gregory, Assistant DG, called up Past-President Don Daniels and presented a certificate for our participation in the Paul Harris Foundation during Don's Rotary year. Only three clubs in our area got one of these so we should be howling like Bassett Hounds. This related to the End Polio Now program. THE PROGRAM: Andrew Neiditz (not the other guy, who is Andrew Kruse) introduced our program for today by Jim Syler of the Lakewood Police Department. Andrew made some good contacts through his efforts in the International City Managers Association. One of those contacts was with a government official from Slovakia. This acquaintance led to the discovery of a potential canine officer exchange between the City of Lakewood and that city in Slovakia, so Jim is here to tell that story. Now are you beginning to understand our canine theme in this bulletin? I hope so because from now on the fun and puns will stop as this gets serious. These K-9 dogs are real police officers so do not tease them!! Jim Syler has been a police officer for 21 years and for 18 of those years he has been a police dog handler. Since 2004 he has been a proud member of Lakewood P.D. Thanks to Andrew Neiditz' efforts Jim met Joseph, a canine handler/policeman from Slovakia. They started a canine training exchange between these two countries and sister cities. In the first year, five trainers from Slovakia came to the U.S. to learn about our training and then in July of 2018 five American police went to Slovakia to observe their training. Both nations and police agencies learned something new from the other, Jim said. Officer Syler showed video and slides from both ends of the exchange. 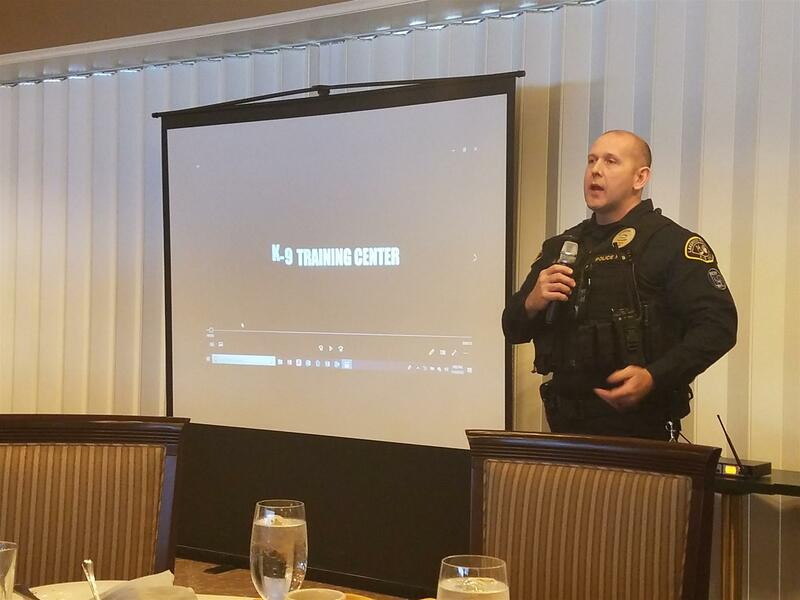 The Slovakians learned from their Seattle counterparts about how to use moving searches, where the dogs follow persons with rolling suitcases, sniffing out narcotics and/or explosives. Jim explained that biting is part of the training as it is basically the only tool a dog has to detain a suspect, as they lack human hands with fingers and thumbs for gripping the suspect. But he said they are also trained to release the suspect when under control by the other officers. It appeared that the most prevalent breed is the German Shepherd. Jim said the dogs are mostly imported into the U.S. and bought by the cities from U.S. vendors. He said, however, that this Slovakia connection has enabled him and Lakewood to save thousands of dollars on canines by cutting out the middle man. Lakewood currently has three dogs, two of which are on patrol. The other is a narcotics dog. Jim explained how a clicker system was learned from the Slovakian trainers. Instead of a verbal reward or command when the dog successfully alerts or points at the contraband, a clicker is used to signal success. Otherwise the dog may continually look at the handler for approval, which can prove distracting to the dog in the field. Their canines usually serve an average of about seven years and a German Shepherd generally has a life expectancy of about 12. He said, in answer to one of many sharp Rotary questions, that typically the city sells the retiring canine to the handler for a nominal fee, when that time has come. Needless to say these police get very close to their K-9 partners, proving once again that a "dog is a man's best friend." THE DRAWING: This week's drawing winner was Bob Cammarano but Dave reminded him that he said "no" during fine time so ...he only won the $5 consolidation. Justice prevailed. Ah yes: Read this bulletin and tell Greg Rediske to get a make-up, and if you shop online, do so at Amazon Smile so a portion of your purchase can be allocated to Lakewood Rotary.